Many of us are attentive to the skin on our face but are careless when it comes to the skin on our neck. With age, the skin on your neck becomes loose and saggy, a term known as “crepey skin.” Another common sign you have neglected your neck and chest area is dark and leathered looking skin due to sun damage. I read the skin on your neck is different than the skin on your face. It’s much more delicate; it’s almost as thin as the skin on your eyelids. It’s also less oily; which sadly means it’s one of the first places you will find wrinkles. I know we can’t stop the aging process, but I’m all about using the right products and treatments to slow does the appearance of aging. First, you want to apply a vitamin C-rich serum before your day starts. I have been using C E Ferulic from SkinCeuticals. This serum will help protect your skin from environmental damage and improve the appearance of fine line lines and wrinkles. Next, apply an anti-aging cream in the morning after your Vitamin C serum and then again at night after you wash your face. Find a moisturizer that has proven results to help fight against aging. I have been using Triple Lipid Restore 2:4:2. Use SUNSCREEN. Apply it to your neck and chest after the other products I discussed above whenever you go outside. Your neck is vulnerable to sun damage so protect it with a sunscreen that has UVA and UVB protection. I use Physical Fusion UV Defense SPF 50 by SkinCeuticals. Always reapply during the day. 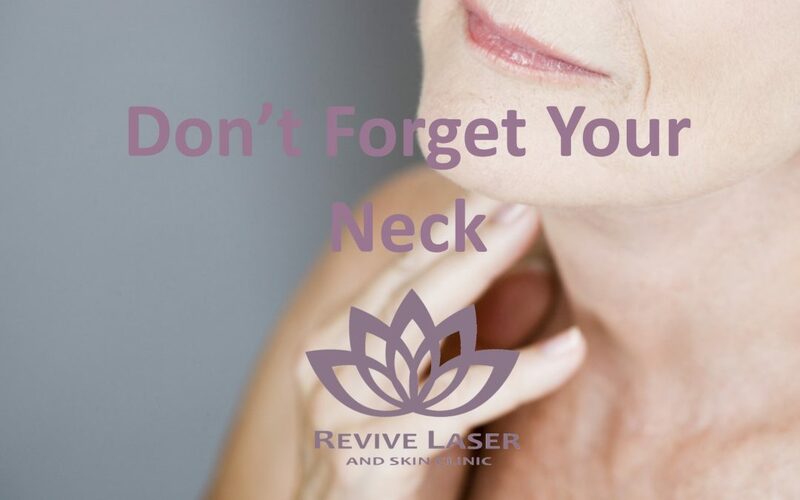 Laser neck tightening can help to turn back the clock a little. This procedure is an excellent choice for men and women that want to achieve a more youthful looking neck and chest. • This treatment takes less than an hour, with no downtime. • After treatment, your skin may feel like it has a sunburn, but that typically goes away after 2-3 hours. • Depending on your age and your skin laxity, you may need 3-6 treatments spaced 4-5 weeks apart. • Improved skin appearance can be seen right away, but after your series of treatments, you will see the maximum results after three months. • Typically the results will last 12-18 months. • Touch up’s or maintenance treatments are recommended every 12 months to sustain the best possible results.